If you're looking to start a professional career and want to build skills in human resources, this qualification offers the foundation skills required to succeed in the exciting and rewarding world of human resources. You'll learn about how human resources supports teams and contributes to achieving business goals, learn how to ensure a safe and healthy workplace, and gain an awareness of the legislative framework that governs employee recruitment, management and termination. If you're interested in working with people and want to use your skills to help teams succeed, this qualification could be your first step towards a fulfilling career in human resources. So you fancy yourself a bit of a people person and you want to become an integral part of the success of any business? 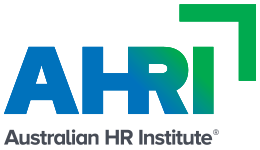 Sounds like a career in Human Resources is right up your alley, and what better place to get qualified than with the specialist educators at the Australian HR Institute (AHRI)! Undertake a course in HR with AHRI and advance your skills and knowledge to advance in the field. Wondering where a career in human resources could take you? Potential job outcomes may include: Potential human resources career outcomes include: Human Resources Manager, Human Resources Assistant, Human Resources Administrator, Human Resources Manager, Payroll Officer, Change Manager, Work Health & Safety (WHS) Systems Officer, Work Health & Safety Assistant. You may be eligible to receive Skills First Funding for this course! Fill out this form and a Study Consultant from Australian HR Institute	will get back to you.